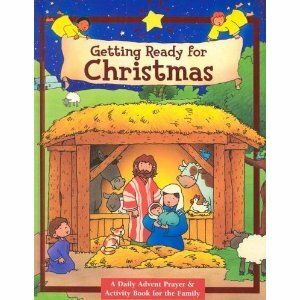 Friend and fellow writer from our writers group, Jan Stobie, posted the following article on her blog regarding the Christmas season...what everyone's doing to prepare and what we should be focused on. Ever since Halloween, the stores have been shouting “Buy this. Buy that. Get your Christmas shopping done early.” Society hammers home the message that Christmas is about buying the latest expensive toy, article of clothing, and so on. In the church, we hear a different message. We call the time of Christmas preparations Advent. For four weeks leading up to Christmas, we light candles and think about the Hope, Peace, Joy and Love that came with God two thousand years ago, when Jesus was born. We tell the ancient story about God, a young couple, a baby, a star, and three kings. We ask questions in order to learn. One important question is: Why did God come as a baby? If God wanted to take on human form, why not come as a man or woman, grown and ready to be a leader? Certainly, the Bible emphasizes Jesus’ ministry, not his childhood. For me, the answer to this question becomes evident when I think about holding a new born baby. My heart fills with wonder and joy when I cuddle a tiny baby, a precious bundle of new life. I believe God came first as a baby because God knew that babies have the ability to creep in through a crack in the most hardened of hearts. God knew we would want to reach out and hold the baby Jesus. God knew that baby Jesus can help us let go of our busyness, our sadness, our skepticism, if only for a few moments, and make room for God in our lives. I challenge you to use December to prepare your heart for Christmas. Each week, set aside a few moments to sit quietly and imagine holding baby Jesus. Feel the peace, joy, and hope that comes to you. Let God’s love seep into your soul. Make room in your heart for God. Check out Jan's blog here. Thank you for this beautiful and important reminder. Happy Thanksgiving!